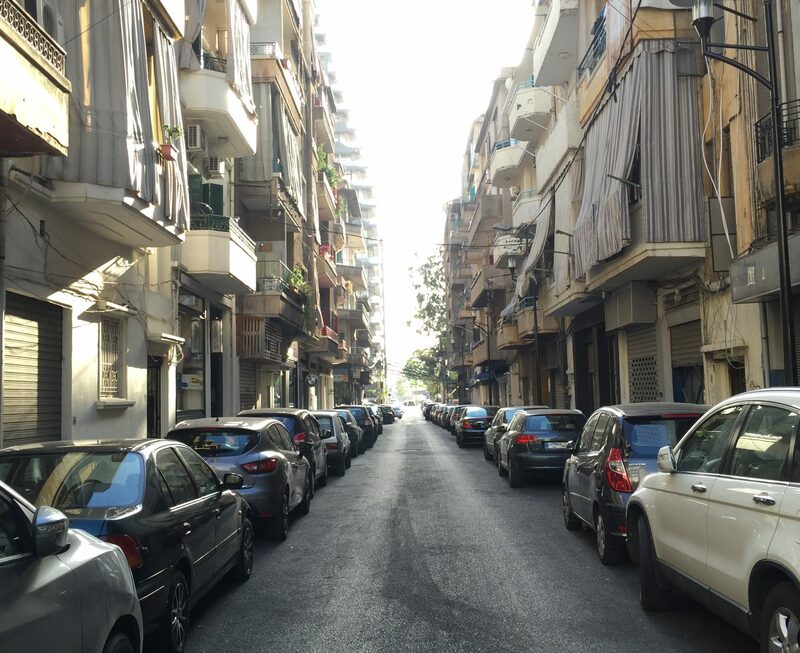 I thought there would be no words to describe what happened in the streets of Beirut yesterday, but there are. 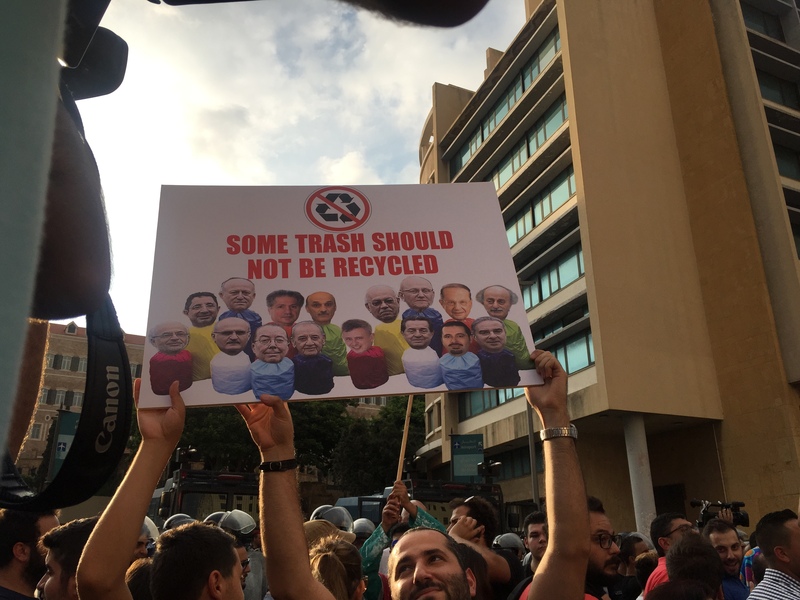 What started as a cry of disgust against an already impotent and paralyzed government and political class unable to provide basic services to its citizens – that of garbage collection – ended up in a massive 10,000-strong demonstration in and around Downtown Beirut yesterday. 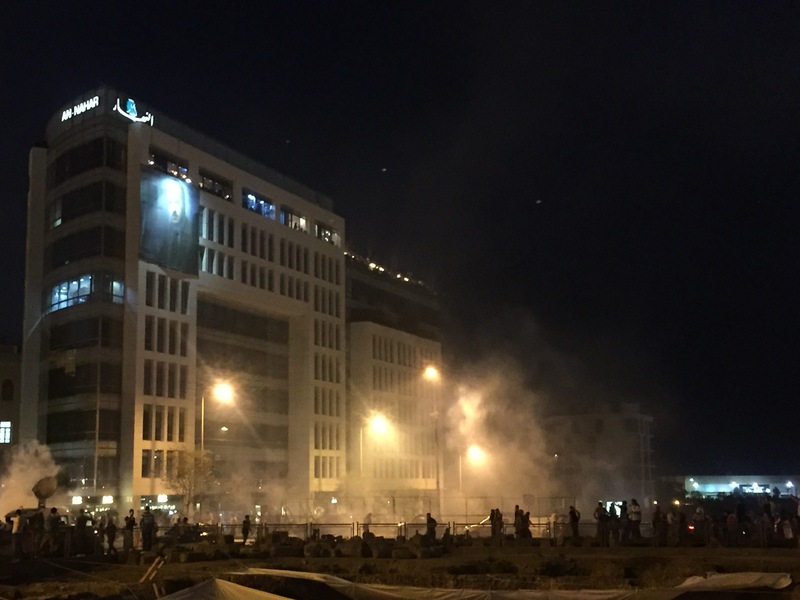 What started as a cry for the government and political class to solve the garbage crisis without delay – to sort out corrupt deals for every politician and grouping to share a piece of the garbage cake – ended up in a violent but beautiful night, bringing back life to the ghost town that has become of downtown Beirut. It was violent, bordering on the deadly with criminal intent, as exercised by Lebanon’s Internal Security Forces (ISF), Parliament Police (so-called Speaker of Parliament and illegal MP Nabih Berri’s police force), Anti-Riot Police and Lebanese Armed Forces beating and using tear gas, live fire, blanks and rubber bullets at peaceful demonstrators. But it was beautiful, because the violence only emphasized the rightful demands of the people, the women, men, old, young and the children (yes, the children) who have had enough of the criminal, corrupt, unaccountable, illegal political class whose time is up. 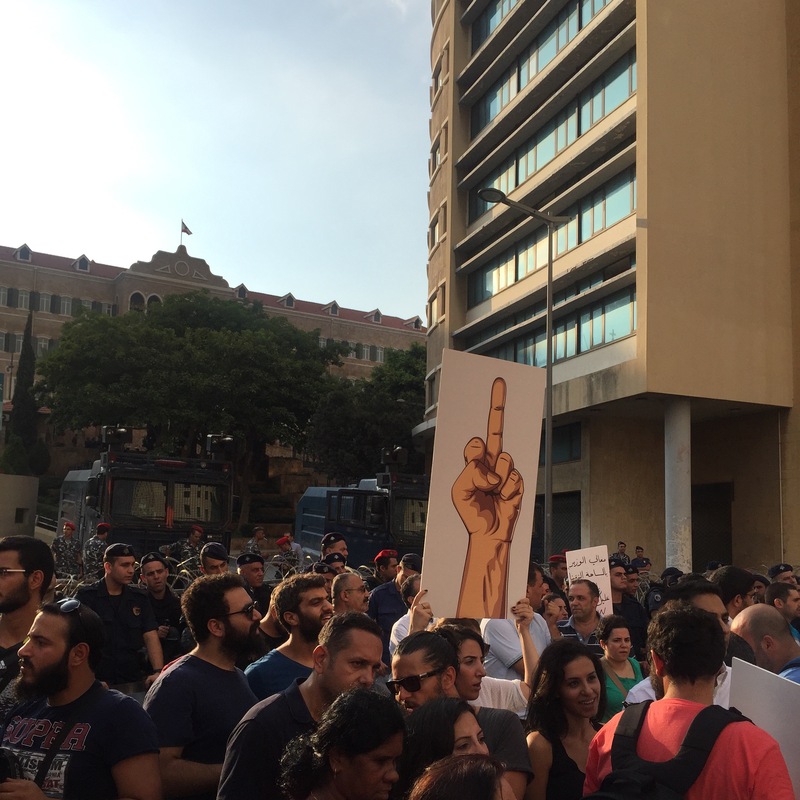 It is this political class and this government’s murderous actions, that pushed the #YouStink (طلعت ريحتكم) movement and all those supporting it to raise these demands too: those responsible for attacking peaceful demonstrators with criminal intent to be held accountable, for the Minister of Interior Nouhad al Machnouk to resign, the downfall of the government headed by Tammam Salam and the holding of long-awaited parliamentary elections that have been illegally postponed twice since 2013. We thank the garbage for having once again proved our point that corruption can kill, just as the garbage reeking on our streets for too long can kill and the burning of garbage can kill us too. We want a resolution to the garbage crisis, but now, this has temporarily moved beyond garbage. This is now about us, the people, and bringing back accountability to the political process. This is about bringing popular legitimacy back to our government. The violence of law enforcement is very well documented, via the #YouStink طلعت _ريحتكم# movement’s Facebook page here, while a general overview of yesterday’s developments can also be found on Eye on the East’s twitter account (@eyeontheeast). When the police started firing water cannons and tear gas, a mother standing next to me immediately reached out to her son, who had not started shouting and panicking just yet, still too shocked to understand what had happened. “Don’t be afraid, my son,” she said, “don’t be afraid.” She calmly grabbed his hand, and just like the rest of us, slowly started moving away from the tear gas and the water, to a safer and sheltered location. Now, THAT is beautiful and for that, I truly have no words. It gives me hope.